The man suspected of killing Russian journalist Anna Politkovskaya has been brought to Moscow for interrogation. Prosecutors believe they are a little closer to solving the murder, one of the most high-profile slayings in recent Russian memory. Rustam Makhmudov was detained in Chechnya on Tuesday, after almost five years on the run. He is accused of having fired the shots that killed Politkovskaya. 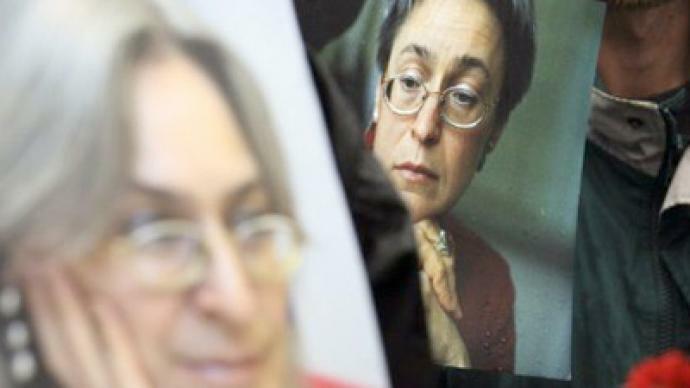 An internationally-renowned journalist at Novaya Gazeta and author, Anna Politkovskaya was shot dead in October 2006 as she returned home. She was famous for her investigative work, particularly reports into human rights abuses. It still remains unclear whether the arrest will reveal the real masterminds of the murder. Makhmudov's two brothers, along with a former police officer, were acquitted of the murder in 2009 due to a lack of evidence. But the Russian Supreme Court annulled that verdict and ordered the investigation reopened. Former colleagues believe that due to the close family ties of those accused of the murder, there will always be some unknowns surrounding the crime. Politkovskaya's son Ilya hopes this arrest will bring his family closer to finding out who killed his mother. “Of course it's a very important step, but we have to wait and see if Makhmudov's guilt will be proved. But even that is not enough. We have no clue as to who the mastermind of the murder is, or about the organizers. It's a significant part of the journey, but it's certainly not the end,” said Ilya Politkovsky. The Politkovskaya case is not the only high profile case to see a recent breakthrough. Journalist Nina Ognianova from the Committee to protect journalists thinks that this arrest, along with the recent convictions of the killers of freelance journalist Anastasia Baburova and human rights lawyer Stanislav Markelov, show that these types of murders actually do get solved in today's Russia. “This was a landmark victory in the fight against impunity in Russian journalist murders, not just journalists, but also human rights defenders and lawyers. And we see that as a very significant step forward,” said Ognianova. Rustam Makhmudov is now Moscow, where the investigation will continue to determine if he played a role in the killing of Anna Politkovskaya.